For exceptional pool design in San Marcos and beyond, look no further than Master Pools of Austin. We take the innovative approach with each and every client, crafting swimming pools that reflect the personality of any home or business. Whether you’re adding a little luxury to your backyard, or constructing a complex water park – we have the expertise to deliver a custom result that serves both your functional needs and aesthetic preferences. In addition to construction, we also revive your tired old pools with our expert remodeling service to give them a second chance at life. We strive to offer a truly personal service, where any size, shape and style of pool is catered for. Just some of the available options include: above ground swimming pools, indoor/outdoor swimming pools, freeform, geometric, Lautner edge, outdoor kitchens, hot tubs, spas, and a wide choice of accessories to enhance the final design. 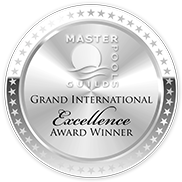 As members of the elite Master Pools Guild, we have been recognized for our superior service and high quality results which we aim to bring to every backyard. Get in touch to speak with our friendly advisers, or to arrange a free consultation – we operate across a wide area of Texas.